‘Tis the season – so much to do, so little time. Baking, shopping, wrapping, decorating….before you know it, the holiday has arrived. Give yourself and your family and friends a gift this season – make a reservation to have Christmas Eve dinner at the Palace. 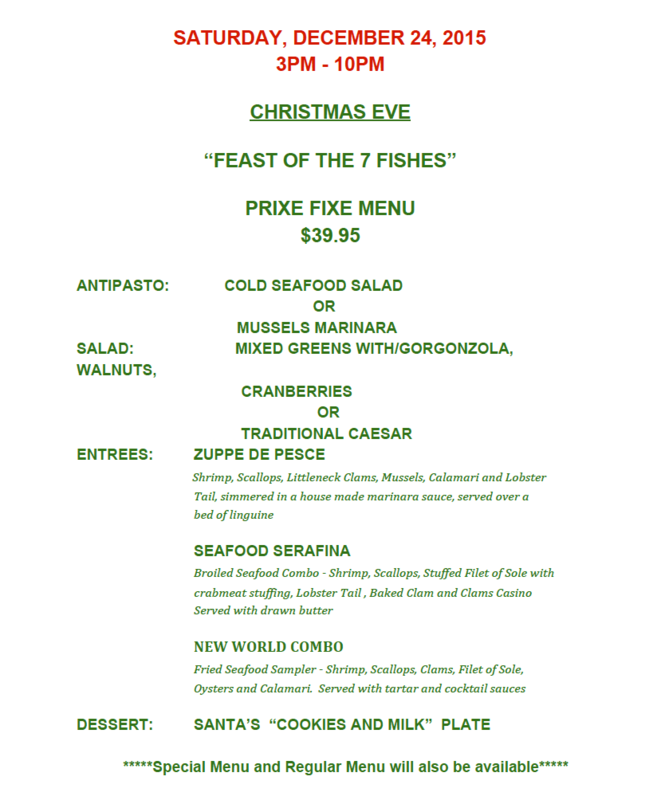 Come in and RELAX – let us serve you some of the most delicious holiday traditions – We will again have our Feast of the 7 Fishes – a prix fixe dinner presenting 7 fresh, perfectly cooked fish along with traditional sides and….the best part….COOKIES! Our Blackboard Specials menu will feature a variety of holiday meals – everything from Roast Pork to Prime Rib to Braised Brisket. Want to stay home on Christmas Eve? Order your meal from us – set your table, turn on the holiday lights and we’ll do the rest. Call us and ask about our special holiday take out menu for Christmas Eve, New Year’s Eve or New Year’s Day. Ring in the new year the right way – no stress, good food. Call today to make your reservation – 845.473.1576. Happy Holidays! « Palace Diner’s Annual Thanksgiving Feast – Reserve Now!